This is one in a series of articles and essays we’re publishing around the annual South By Southwest Education conference. See our other SXSWedu posts; get our latest coverage delivered straight to your inbox by signing up for The 74 Newsletter. Michael Horn will be presenting “What Do We Mean by Personalized Learning?” at SXSWedu on Tuesday, March. 5. Personalized learning remains one of the hottest tickets in today’s education circles. Education technology companies herald its promise. Numerous foundations continue to invest in its potential for transforming schools. I guarantee the phrase will be bellowed through the halls of South By Southwest Education as it commences in Austin, Texas. Yet it remains a challenge to arrive at a simple definition of personalized learning. Ask any five educators in a room what it is, who’s doing it best, how to implement … and you’re likely to come up with five very different definitions and scenarios. Some of the more common definitions emphasize students having a voice and choice in what they learn — along with customizing how, when, and where they learn it. Yet other frameworks focus on self-paced learning methods, powered by technology. Still others prescribe that personalized learning must include elements such as competency-based learning or learner profiles. But when Amplify’s Larry Berger and I sit down to host our March 5 session at South By Southwest to talk through and debate the why, how, and what of so-called “personalized learning,” our primary goal is to cut through the noise to process the promise of personalized learning as well as the guardrails around that hype. For starters, I’m urging educators to stop trying to define “personalized learning” as a noun, and to start thinking of it as a verb. Educators are personalizing learning for their students, or helping their students personalize their own learning. The key question right now shouldn’t be about defining “it,” but instead objectively observing, categorizing, and measuring the different ways educators and students are personalizing learning — and understanding which approaches are and are not getting the results they seek. In other words: Personalizing learning shouldn’t be a goal unto itself, but a means to help students succeed. That’s one reason I’m so heartened by the work at Digital Promise Global’s Learner Variability Project (LVP), which is helping uncover strategies to meet learners where they are across varied contexts and needs and based on different learning objectives. The Learner Variability Navigator in particular is bringing together all the research to help educators and companies move beyond the averages of learning science to tailor learning for students based on known strategies on what moves the dial for learners in different situations. For example, students in a single English classroom may all struggle with content, but for different reasons. Certain students may struggle with basic phonological awareness that stems from a home literacy environment where English is a second language. 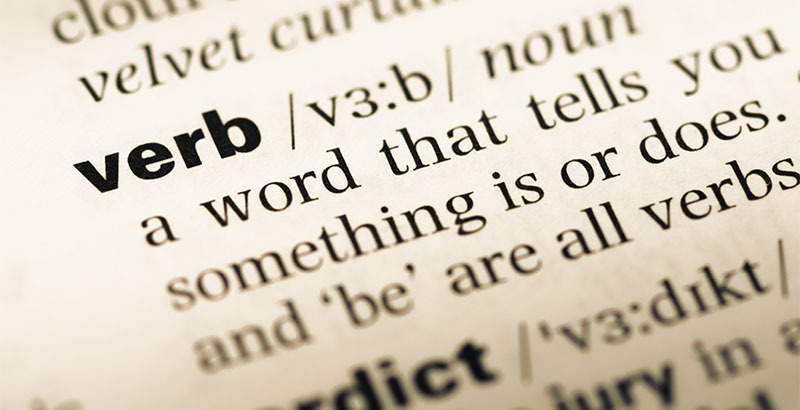 Others may lack some basic vocabulary words that prevent them from accessing a more complex text. Still others may have low working memory, which limits their ability to absorb information and execute complex tasks even if they have the requisite background knowledge. Personalizing the approach for each of these students is critical to unlocking their continued academic growth. Continuing to just build the knowledge of the student with low working memory but strong background knowledge isn’t going to work. Certain close-reading strategies in that instance could be crucial. Asking these students what topics they want to read about, or whether they’d like to listen to audiobooks rather than interact only with texts, or whether they prefer to study complex sentence structures before phonemes, may result in learning that is tailored to their interests but not necessarily to their needs. It’s this last point that points to an important guardrail for personalizing learning: Not all personalization will work. It could even backfire. In fact, giving students unbridled choice over their learning could be disastrous. Students are likely unaware of everything they need to be learning effectively. Although the proverbial example of mastering underwater basket weaving may be important somewhere, it’s likely not the most productive personalized pursuit, no matter how much it interests a particular student. Teacher guidance does matter. What’s more, there’s substantial evidence that having a coherent curriculum matters. Preparing students to be lifelong learners capable of partaking knowledgeably in both civic life and a rapidly changing workforce requires not just focusing on technology, personalization, or even coding, but the broader content and foundation at the heart of these experiences. For example, as students learn to read, it is critical that they build a strong and wide foundation of knowledge. A learner’s background knowledge is a key ingredient in her ability to learn and absorb information from what she is reading and consuming. Accordingly, personalizing learning through technology will be most powerful when it is coupled with intentional, coherent, and rigorous instruction. As Larry and I agree, some metaphors around personalization — like creating the “Netflix of education” — are tired and ought to be replaced. I much prefer to think of it as a “Google Maps of education,” though Larry has responded publicly that the metaphor has some drawbacks, given the “map” doesn’t exist for many subjects. I agree that that’s a fair point, but I still look forward to debating that a bit deeper at SXSW. One of my top goals for our session in Austin is that people walk away with the sense that creating school models that allow for more personalization is important — but that the models in and of themselves are not the end of the story, and that the road ahead on this journey toward personalization will be nowhere as straightforward as some seem to think. Michael B. Horn is chief strategy officer of the Entangled Group, a venture studio focused on helping the education ecosystem transition from supporting an industrial economy to a knowledge one; founder of the Clayton Christensen Institute, a nonprofit think tank; and the author of multiple books on the future of education. He will be presenting “What Do We Mean by Personalized Learning?” at SXSWedu on Tuesday, March 5.